The Bruins will go up against the Rangers tonight for the second time in only three games. The Bruins won the first game in the season opener with a 3-1 victory. The Bruins and Rangers went opposite ways in game two with the Bruins beating the Winnipeg Jets 2-1 while the Rangers 6-3 to the Pittsburgh Penguins. In a 48 game season every win and point is crucial. This is why the Rangers wont just be playing like the Rangers. 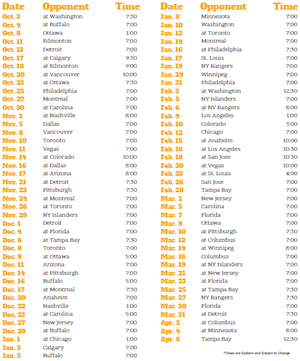 This early in the season, at home, the Rangers will be playing fiercely and almost desperately. The Bruins will have to play their toughest game yet in their young season. They are also coming off a very frustrating game where the pipes got hit more then a John Lackey fast ball. Just like last time versus the Rangers there are a few keys to the game and keys to a B's victory. 1) Patience. Coming off of a frustrating game versus the Jets the Bruins players might be looking for a quick goal and squeezing that stick just a little too tight. The Bruins need to forget last games miss fortunes and relax. The Bruins should just play their game and take what is given to them. The most frustrated Bruin is probably Tyler Seguin who rang the post a few times and missed a wide open net. Seguin, who already has one assist, will start scoring soon enough. 2) Intimidation. Shawn Thornton and Greg Campbell already got in fights against the Rangers. 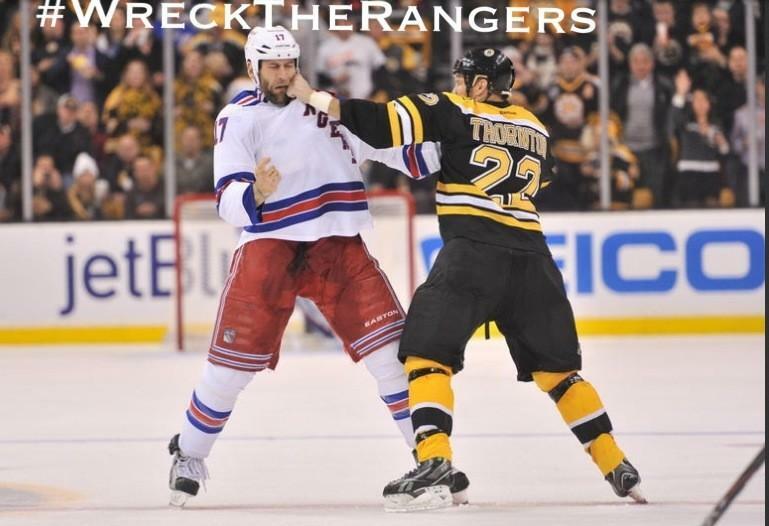 Last year the Rangers where first in the league with 65 fights and the Bruins second with 61. Both teams are tough and physical but to win the Bruins will have to be more physical then the Rangers. If this means starting the 4th line on the opening face off then Claude will do it because he is never afraid to use all four lines at any time necessary. 3)Tuukka Vs. Lundqvist. Two U's, Two K's, and Two points. 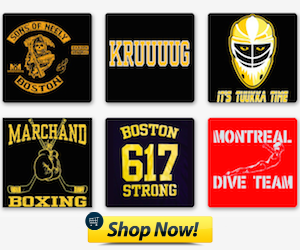 Tuukka has proved in the two games he is a great starting goaltender. I have faith in Tuukka, I always have, but it has only been two games. For the Bruins to win the majority of their games versus top teams it has to be a close scoring defensive game. Tuukka did a great job of that versus the Rangers only giving up one goal. Like last season how ever, Lundqvist is starting off slow giving up 9 goals in two games. At some point, some point soon, Lundqvist will return to his Vezina trophy winning form. He could tonight against the Bruins. If the Bruins play like the Bruins they can beat the Rangers. The Bruins success would on the power play would be a contributing factor but the only way the Bruins are scoring on a power play is if it deflects off of someone. The penalty kill is always a great factor in the Bruins play but of course if there is a lapse in coverage or they try to do to much the Bruins could fall prey to a Nash or Gaborik goal. All in all the Bruins could start out the season hot; going 3-0 and beating the Rangers twice.